MacDONNELL, Sir RICHARD GRAVES, colonial administrator; b. 3 Sept. 1814 in Dublin (Republic of Ireland), eldest son of the Reverend Richard MacDonnell, provost of Trinity College, Dublin, and Jane Graves; m. in 1847 Blanche Anne Skurray of Brighton, England; d. 5 Feb. 1881 at Hyères, France, and buried at Kensal Green, London, England. After a strict upbringing in an Irish Protestant family, Richard Graves MacDonnell attended Trinity College, where he graduated ba (1835), ma (1836), llb (1845), and lld (1862). Called to the Irish bar in 1838 and admitted to the English bar at Lincoln’s Inn in 1841, his professional career took him in July 1843 to the colony of Gambia, in west Africa, as chief justice. In October 1847 he became governor of the British settlements on the Gambia River, where he indulged his passion for exploration and organized punitive campaigns against unruly native tribes. In 1852 he was nominated lieutenant governor of St Lucia in the West Indies but was sent instead in January 1853 to administer St Vincent, where he first encountered the rabid parochialism of a colonial assembly. With a reputation for forthrightness and intolerance, he became governor of South Australia in June 1855 at a time when a new constitution, which would give the colony local self-government, was under discussion. Never loath to speak his mind, MacDonnell drafted his own constitutional proposals and declared that South Australians were not ready for responsible government, a conviction unshaken by subsequent experience of its operation in that colony. He engaged in public debate on religious matters and, in advocating federation in Australia, championed personal policies even after the governor had supposedly surrendered this constitutional right. His reward was two years’ enforced leisure in Britain when Sir Dominick Daly* succeeded him in March 1862. 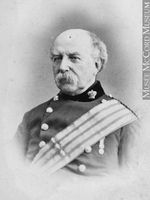 Neither MacDonnell’s sardonic contempt for the degeneracy of colonial politicians nor his dour determination to wield effective gubernatorial authority had diminished when he was appointed lieutenant governor of Nova Scotia in May 1864 on the recommendation of his predecessor, the Earl of Mulgrave [Phipps]. Although MacDonnell was sent to foster a union of the maritime colonies, which he heartily favoured as a cure for petty provincialism, he arrived at the moment when the Canadian ministry was suggesting a wider federation. He criticized the proposed distribution of power between federal and provincial authorities, the continuation of provincial governments given to corruption, and the downgrading of the post of lieutenant governor. 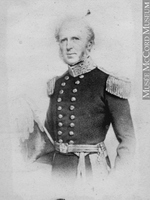 At the Quebec conference in October 1864 he bluntly told John A. Macdonald*: “You shall not make a mayor of me, I can tell you.” In view of his unabashed criticism of the Canadian proposals as premature and ill-contrived, MacDonnell was placed in something of a dilemma when the Colonial Office subsequently decided to endorse confederation. His embarrassment was short-lived, however, because of the devious stratagem he employed to prevent popular hostility to confederation in Nova Scotia from jeopardizing the new imperial policy. Both before and after the New Brunswick election of 1865 had returned an anti-confederate majority, he wanted to postpone an appeal to the Nova Scotian electorate as well as a vote in the legislature on confederation, since both recourses seemed certain to produce an adverse declaration. 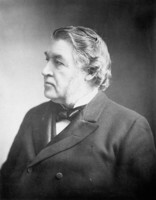 As a calculated expedient he proposed to Premier Charles Tupper* in the spring of 1865 that the ministry should introduce in the assembly a pious resolution favouring maritime union which would facilitate an inconsequential airing of opinion. Despite the governor’s explanations, the reasoning behind this unexpected revival of the now discarded scheme of maritime union was misunderstood in London and official confidence in him fatally undermined. 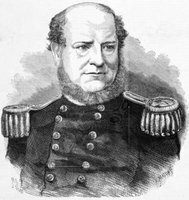 MacDonnell’s position had clearly become invidious, and he predicted that imperial support for confederation would speed “my departure from this unlucky ‘cul de sac’ in which I have got myself pouched.” Much to his joyous relief, the Colonial Office promoted him in October 1865 to the governorship of Hong Kong. In this more congenial clime MacDonnell found a pliant council which accorded him the freedom to embark on an ambitious programme of administrative and social reforms, until ill health forced him in 1872 to retire from public service. He was gazetted cb in 1852, knighted in 1856, and created kcmg in 1871. A career administrator of indifferent abilities overlaid by an innate cleverness, MacDonnell had the faults of his virtues: his purposeful energy and easy self-assurance were matched by an overbearing manner, a disdainful superiority, and a waspish tongue. His immediate successor, Sir William Fenwick Williams, dismissed him as “Governor McPotato,” and Sir Charles Hastings Doyle, commander of the British forces in North America, said he was “au fond a charlatan.” Disparaged by other contemporaries as a middle-class snob, his proconsular temperament was better suited to crown colonies than to mature self-governing settlements where he was expected passively to defer even to those politicians whose small-mindedness and corrupt practices he despised. Letters and addresses by Richard Graves MacDonnell were published in two works: Thomas Binney et al., The church of the future, as depicted in the Adelaide correspondence, examined and estimated . . . (Hobart Town and Launceston, Tasmania, ), and [Augustus Short] et al., Christian union: if not, why not? As discussed by the lord bishop of Adelaide, his excellency the governor, the Rev. T. Binney and others (London, 1859). He also published “Australia” in Lectures delivered before the Dublin Young Men’s Christian Association, in connexion with the United Churches of England and Ireland, during the year 1863 (Dublin, 1864), 329–96, and “Our relations with the Ashantees” in Royal Colonial Institute, Proc. (London), 5 (1873–74): 71–102. PANS, RG 1, 108–9; RG 2, sect. 2, 3–5. PRO, CO 217/234–37. UNBL, MG H 12a. F. E. O. [Cole] Monck, My Canadian leaves, an account of a visit to Canada in 1864–1865 (London, 1891). Solicitors’ Journal and Reporter (London), 25 (1880–81): 300. Illustrated London News, 5 March 1881. Times (London), 8 Feb. 1881. ADB. DNB. Notman and Taylor, Portraits of British Americans, I: 197–216. J. K. Chapman, The career of Arthur Hamilton Gordon, first Lord Stanmore, 1829–1912 (Toronto, 1964). Creighton, Road to confederation. G. B. Endacott, A history of Hong Kong (London, 1958). W. M. Whitelaw, The Maritimes and Canada before confederation (Toronto, 1934; repr. 1966) . Peter Burroughs, “MacDONNELL, Sir RICHARD GRAVES,” in Dictionary of Canadian Biography, vol. 11, University of Toronto/Université Laval, 2003–, accessed April 21, 2019, http://www.biographi.ca/en/bio/macdonnell_richard_graves_11E.html.